You are here: Home / Misc. / Education / Hypnosis: The concept and its healing powers. Hypnosis: The concept and its healing powers. (ThyBlackMan.com) If there is one thing, we humans excel in, it is harnessing the qualities of every and any thing and putting it to use for our betterment. Hypnosis, no matter how fancy and mysterious, is no exception. The benefits of hypnotherapy are not hidden from anybody and millions all around the globe are being healed by it. Everyone of us in our childhood has pretended to be a magician and hypnotise our friends. But you don’t have to be Dynamo to practice hypnotism; you can actually choose to study the subject formally and make it your profession. There are abundant hypnosis courses in Melbourne and all over the country. Let’s understand the concept of hypnosis and how it works in heali ng people and giving them relief. The term “hypnosis” finds its origins in the greek word ????? (hypno?) which translates to “put to sleep”. 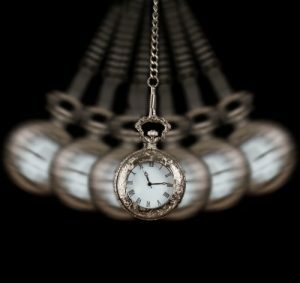 Hypnosis is a state of human consciousness involving unwavering attention and a reduced sense of peripheral awareness. It also enhances the ability to respond to suggestions. It heightens the concentration of a person and allows her/him to single-mindedly focus on a single memory or thought. The Oxford dictionary defines hypnosis as, “the induction of a state of consciousness in which a person apparently loses the power of voluntary action and is highly responsive to suggestion or direction. Its use in therapy, typically to recover suppressed memories or to allow modification of behaviour, has been revived but is still controversial”. When hypnotism is put to use in curing and healing patients with its therapeutic uses, it is referred to as “hypnotherapy”; and when it is used to entertain the audiences by a stage artist, it becomes “stage hypnosis”. Now let elaborate on hypnotherapy and its uses. Hypnotherapy is gaining grounds and is now being used all over the world to treat various medical problems, especially psychological disorders. It is now a proper systematic method being used by licensed physicians and psychologists to treat their patients suffering from anxiety, depression, sleep and eating disorders etc. It uses hypnosis to put the patients in a trance-like state where they become highly aware and focused. Hypnotherapists use guided relaxation and acute concentration to achieve the hypnotic state, which helps in healing the patients. Anxiety: Anxiety has become very uncommonly common today. The pressures of life cause people to become extremely anxious. Therapists use hypnotherapy to calm the patients down and ease them. They also suggest the patients to learn and practice self-hypnosis to make things easy for them. Quitting smoking: Hypnotherapists use hypnosis to help people quit smoking; as a patient become highly responsive to suggestions, the therapy becomes very useful. They also use it to find the underlying triggering reason behind the habit and then try to cure the addiction. Enhancing performances: Hypnosis leads to heightened concentration level, better and productive performances are bound to follow. Learning self-hypnosis also comes in handy to relax and channel your energy to get into your “zone” and thus improves performances. Relationship management: Hypnotherapy sessions can help managing relationships and resolve the issues in question. Hypnosis can be effective in anger management, communication skills, and acceptance; these lead to happier relationships. Not just these, it helps in various other issues like weight management, depression. It also helps to relieve chronic pain. There are immense benefits of hypnotherapy, if it is used effectively and in proper ways, it proves to be miraculously healing. Hypnotherapy is a big help in the medical realm and lends its complete support to it. I am an African American who also happens to be a hypnotherapist. I know how hypnotherapy benefits all kinds of suffering, be it emotional, or physical.I think the misconception is that people lose control and that is not at all true. Hypnosis only works if you allow it to. Our clients are in control at all times. I work with cancer patients and clients with chronic pain. I help relieve anxiety and manage habit control. These are all conditions for which the Black Community can benefit. Yet,I almost never see any of us in my waiting room. Other races bring their kids in for confidence with study habits or to improve sports performance. Please people know that the Black subconscious is just as agreeable to change as all others and I hope to see more of us in my waiting room in the future. I am pleased to see this article on your website. I am dedicated to letting people know of all the different ways hypnotherapy can help in everyday situations. Kudos!